Yesterday, David and I went to Arden's Garden, a smoothie and juice bar here in Atlanta. The special smoothie for the day was called a "Spinach Slam", a blend of fresh pineapple juice, frozen mangoes and about 5 or 6 cups of spinach! We saw the first 4 people in line decide to get it after a taste test, and so we ordered the same (I addend hemp protein to mine :). It. was. awesome! And it reminded me of when I began to incorporate greens into my smoothies. So today, for Smoothie Sunday! I will be giving a Green Smoothie tutorial of sorts. Don't be scared now; it's not as bad as it sounds. 1. As I said, the first green veg I decided to branch out with in my smoothies was spinach. Spinach has a great flavor that complements fruits well. And it pretty much goes with all fruits. So if you are a green smoothie newbie, I would start by adding a 1/2 cup of baby spinach to your smoothies when you make them. This would add some much needed vitamin A, calcium, iron, and a little protein to your smoothie treat. 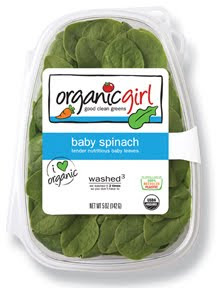 I use Organic Girl (found at Publix and Whole Foods), but any organic baby spinach would do. And Costco has it sometimes for as little as $3-ish dollars a pound! 2. If you have already begun to experiment with some greens in your smoothie, then you are ready for the following yummy delicious recipies. Here are recipes I have used as inspiration for my home-made green smoothies at home. - Kale Creamcicle from Elena's Pantry - I use this as a formula for when I want something citrus and green. I usually use 1/2 grapefruit and a clementine in place of the orange because I can't find good oranges that are wallet friendly in the store a lot. I also add hemp seeds (instead of egg white protein) and 1-2 Tbsp of raw cashews for extra creaminess. - Kristen’s Raw blog also has many fun recipes for experimenting with greens in smoothies, like this one with coconut water and Romaine lettuce. 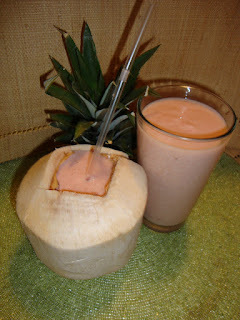 - The Best of Raw Food also has this list of their top 5 green smoothies. 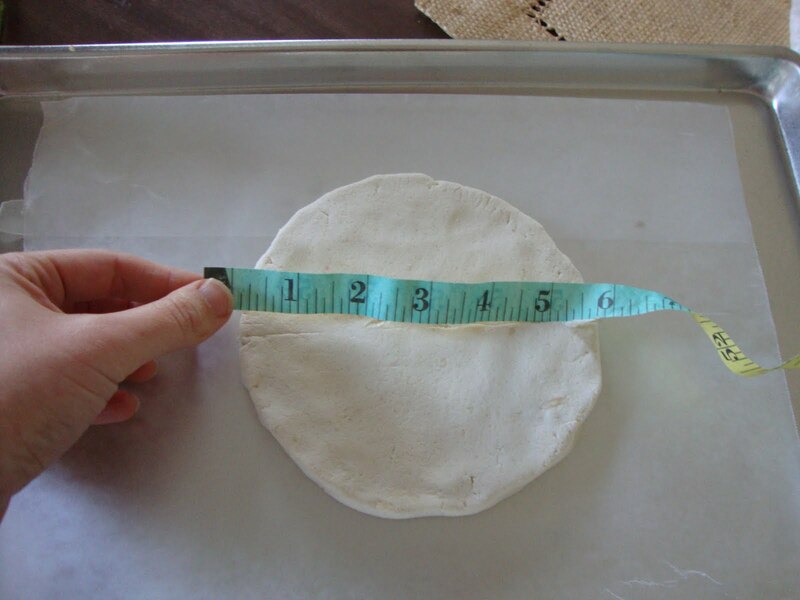 At the bottom of this page is a basic percentage guide for making your own recipes at home. Blended smoothies work best in a high powered blender or food processor. 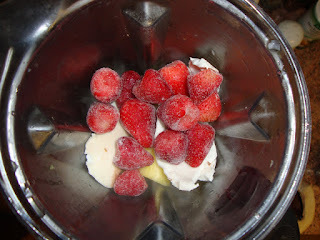 I made my smoothies before I bought my Vitamix in my food processor all the time with frozen fruit. The thing to remember is that food processors don’t do well with ice. If a recipe you want to try calls for ice, then just replace it by freezing more of your fruit for the recipe instead of adding ice. Start small if adding “green” scares you. You tastes may change over time. Leafy greens are usually a descent source of calcium. If you don’t eat dairy, like me- this is a great way to add calcium to your diet. If you buy root vegetables from the store, like beets or turnips, try some of their greens in a smoothie- especially if you were planning on throwing them away. What have you got to loose? 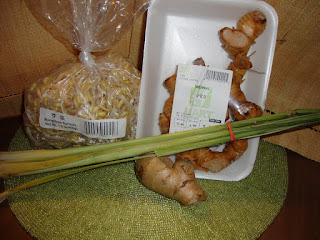 I found is a great way to use the whole food (from the store or our garden) when I didn’t feel like steaming or cooking greens. Beet greens are a nice complement to citrus and pineapple. Juicing is another way to add greens to your smoothie. Wheat grass, though expensive, is now becoming more available in store freezer sections. If you decide to add a store bought juice to your smoothies, I would encourage you to make sure it has no sugar added, and is not concentrated. Most likely, these juices will be pasteurized (and therefore, some of their vitamins might have been destroyed). If you can, try to find juices that are "flashed-pasteurized" (like Naked brand) or not at all. Last night I was craving something creamy and pie-like. 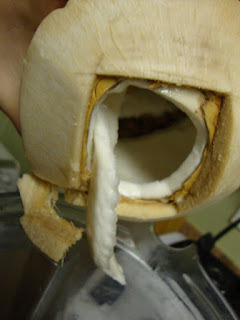 I have begun to see the usefulness of bananas and coconut products to replace my desire for the "creamy". I used to be a custard lovin', ice cream eating gal. I have now gone completely dairy free, but I refuse to give up eating yummy treats- so I came up with this recipe! These truffles are super quick, cheap, and EASY! And you can fancy them up if you are making them for guests. Just dip them in a chocolate glaze, ganache, or coating chocolate ( which wouldn't be dairy-free, of course, but just because I can't eat it doesn't mean you can't :). 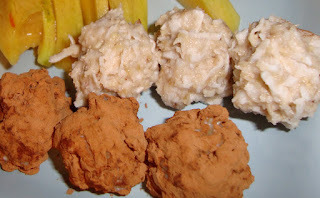 I rolled mine in carob powder, but some cocoa powder mixed with coconut sugar or other sweetener would also work. And, yes, this truffle recipe is all raw. 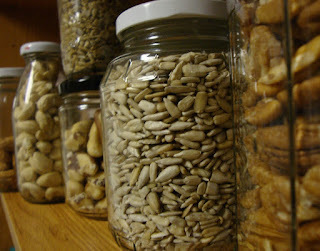 I have two more weeks of raw eating...so you all are getting mostly the recipes I am making at home right now. I promise this blog won't turn into a Raw Food blog. BUT, raw food never hurt anybody. When you heat food you decompose some of the vitamins in your food (source: my husband, the Chemist). And I want all the vitamins I can get! 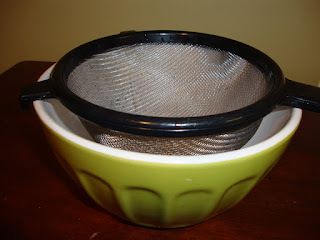 These would be great to make 3 or 4 batches of to keep in the freezer for snacks, or treats for kids. Here are two ways to cook this fabulous root vegetable: one a spicy barbeque flavor, and another one more sweet, yet savory. Feel free to pump up the spices in these recipes. I don't think I make them the same way twice, but I made sure to get the recipe pretty middle-of-the-road as far as spicy goes. 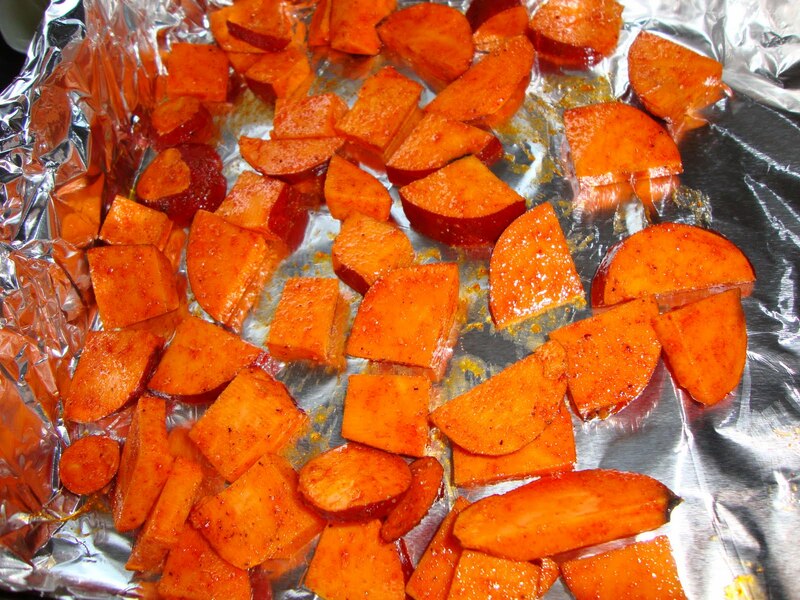 So if you like it hot, add more chipotle seasoning for the BBQ sweet potatoes. And if you love cinnamon pump it up in the others! - Mix the oil, cinnamon, cumin, and salt in a medium bowl. - Place sweet potatoes in bowl and stir until all are evenly coated. - Bake at 400° for 15-20 minutes, or until browned slightly, and edges are crispy. Also, it helps to stir them around half-way through. - Mix the oil and all the spices, salt, and pepper in a medium bowl. 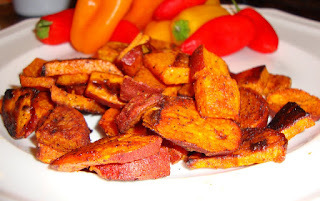 * Please note: If you make this recipe with regular paprika it will not have the barbecue-like flavory goodness! (I have tried, once when several stores were out at once- I won’t make them with regular again!) 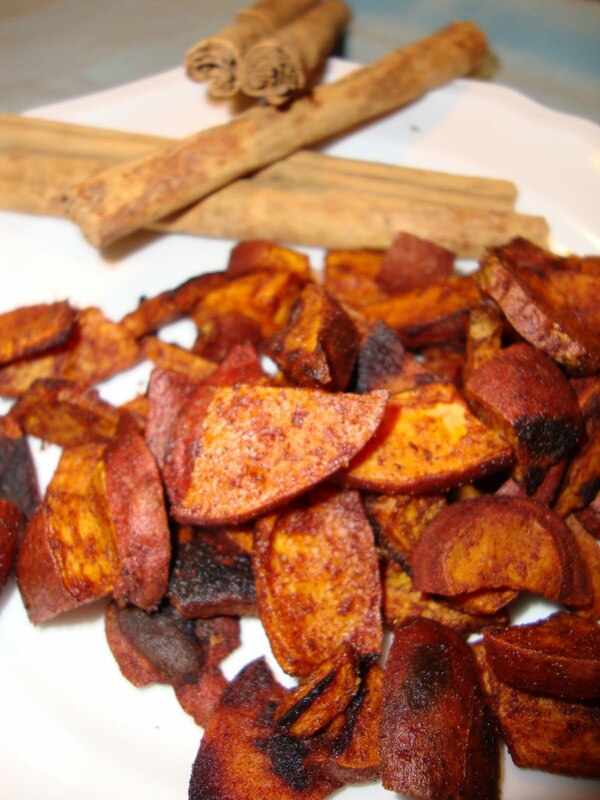 Smoked paprika can be found at most grocery stores on the spice isle. This may be a stretch for Smoothie Sunday... but today's "smoothie" is actually a latte. I love beets. It took me a while to get used to them when I first started eating these root vegetables, but now I think I could find myself quite at home on Dwight's beet farm :) They go quite well with cacao and carob. 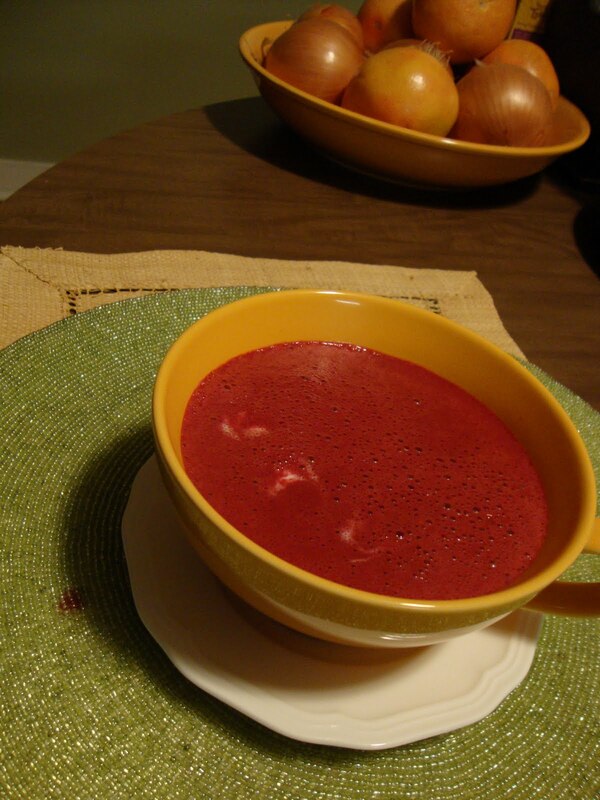 Thus, the following Beet Lattes were born. This recipe works best in a Vitamix or Blendtec, but you can experiment with your own in the food processor. 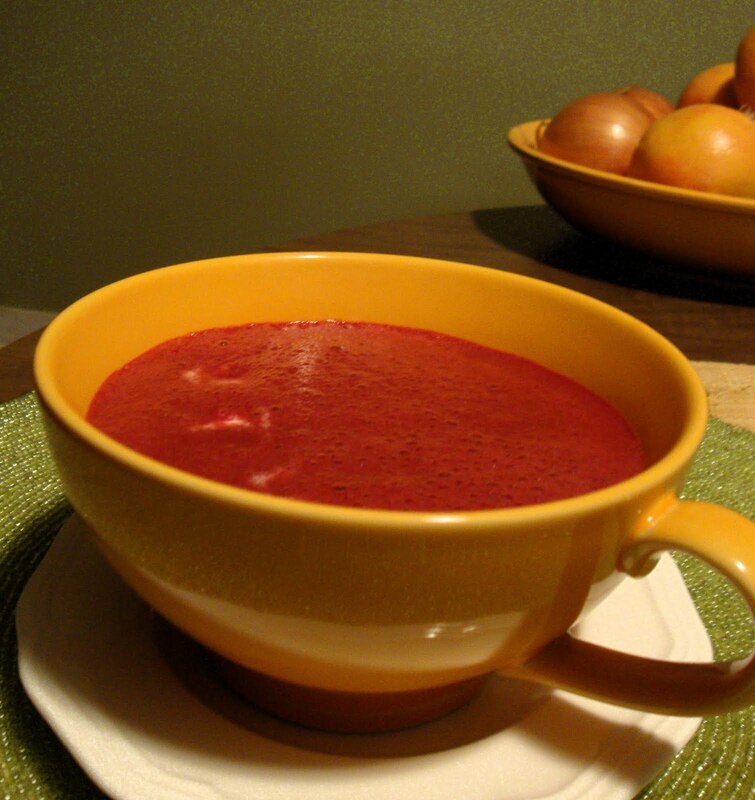 Beets are loaded with antioxidants and a lot of natural fiber, and when combined with the health benefits of cacao they make a healthy little drink. 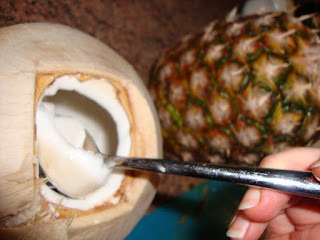 - Sweetener to taste, I recommend this coconut nectar, and it’s raw too! - If using a food processor, try blending the beet, banana, cocoa/ carob powder, and a little liquid together and then heating them mixed with the rest of the liquid in a pot over the stove. In setting out to inform the masses (you all :) about what new things to try/ buy from the store, it occurred to me that I can't just tell you about the ingredients without tempting you to try them in a recipe. So today, I will be featuring different sites' recipes for Veggies and Legumes in the second installment of my "Ingredients" series (Ingredients 101, here). Let's talk vegetables! Our mom's always said to eat them, but they never quite rivaled the promised dessert you would get to eat if you simply ate more veggies. I'm glad to have grown out of that phase; wanting the "treat" over the health. I must say that over the last couple of years, I have fallen in love with vegetables of all kinds, from raw to baked, to sauteed. And from time to time, I'll come up with a "treat" recipe for them. 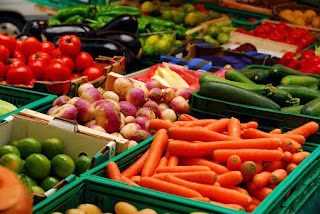 Here are some vegetables by category, and don't forget to check out the recipes for each one that are out there in the blogosphere. Bok Choy - great sauteed! Galangal root - Great in Tom Kha Gai - this is the best recipe I have found out there, and I have made if for friends and family with rave reviews! Most Vegetables I buy can be found at Whole Foods, Trader Joes, or Costco (although I have only found carrots and spinach that are organic). Also, try your local Asian or International market for some goods like Galangal root or bean sprouts for Thai and other Asian dishes. Look around and check out those recipes, and don't be afraid to try something you never have or you thought you didn't like... your taste-buds may have changed since you were six :). A few months ago, I found out I was allergic to dairy (casein). I felt like I was eating the best dairy - mostly goat's or pasture fed cow's milk, and only raw cheeses-- but, alas, that makes no difference when you are allergic! Since giving up dairy completely, I have had fewer headaches and my morning sore throats are a thing of the past. But the cravings for ice cream, frozen yogurt, and cheese still haunt me from time to time. My craving for cheese was the driving force behind this recipe. 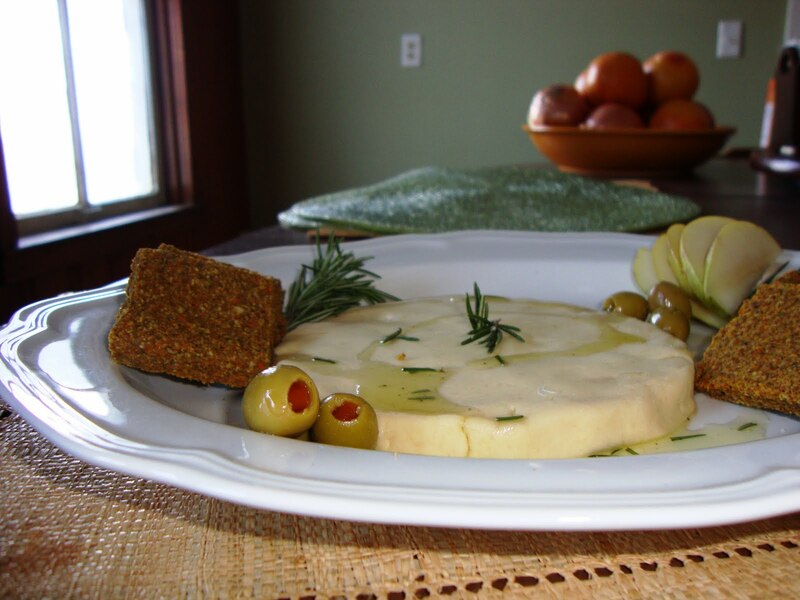 Boursin, a soft french cheese that comes in different herb flavors, was one of my favorite treats to have before going dairy-free. 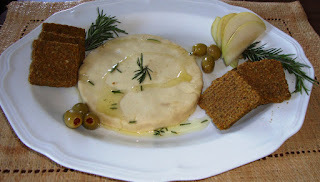 So I set out to make a dairy-free cheese that can rival it...and it got my husbands seal of approval (and he grew up on Boursin so I took that as a great success of a recipe!). Feel free to play around with this recipe. 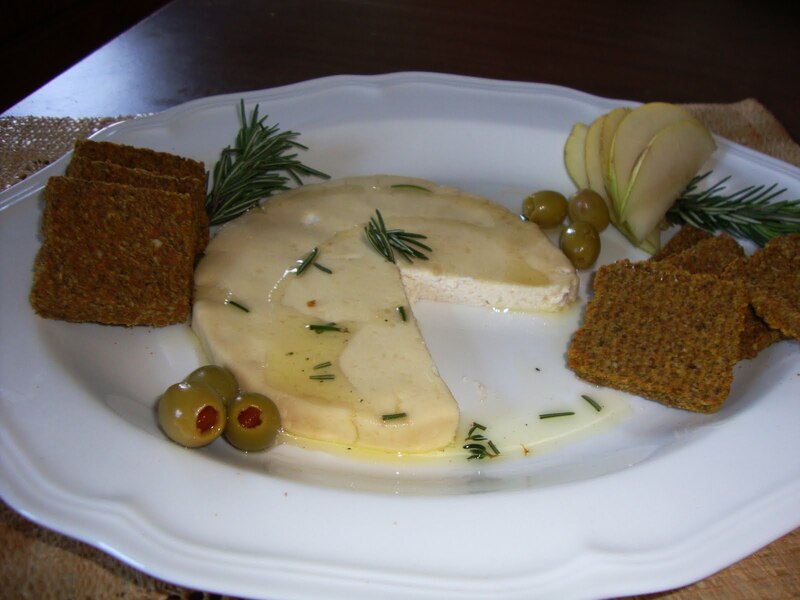 The basic components of a raw nut cheese are nuts and lemon juice. Next time I make this, I will try adding the herbs and garlic (powder maybe) directly to the nuts and lemon juice in the blender. Also, my husband suggested finely chopped olives might be nice in the cheese as well. - Blend the first three ingredients for the cheese on high (can be done in a food processor or high powered blender). 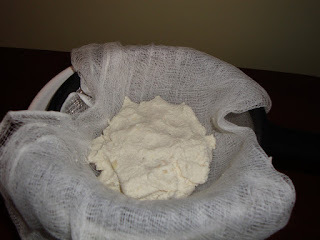 If you need to add water (1-2 Tbsp) at this point to make the cheese a finer texture, that’s OK. The excess water will be strained out in the next few steps. - The mixture should be kind of thick. Set up your bowl and colander like so, with the cheese cloth then over the colander. 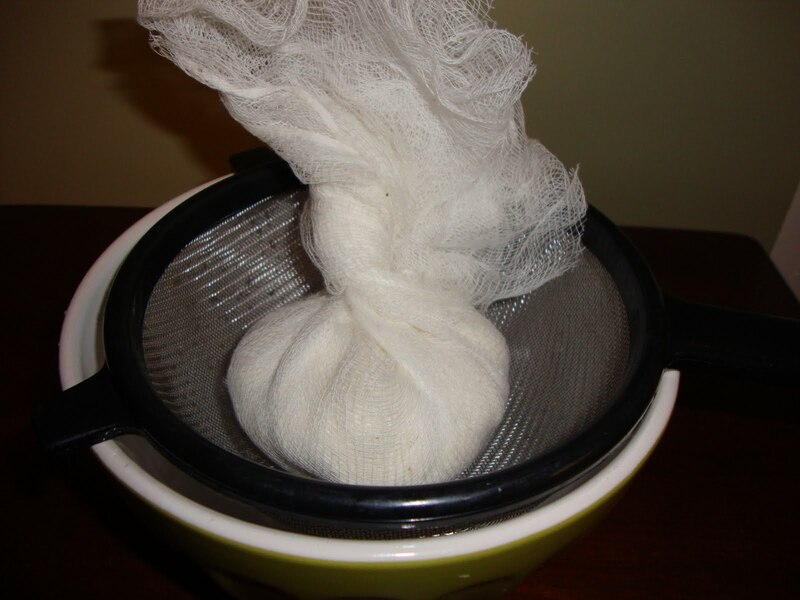 - Then form the cheese, squeezing tightly, and wrapping it in the cheese cloth. 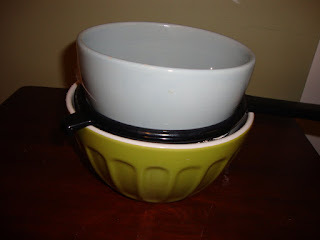 - Let it sit this way, with a heavy bowl placed on top so that the cheese is pressed. I let mine sit over night out on the table (not in fridge). This is how it develops its tangy-ness. You can be done here and use your cheese as a spreadable one (like cream-cheese consistency), or, if you prefer, you can go on to the next step if you want to make a firmer cheese (like feta consistency). Just mix with the herbed olive oil to your liking. - When the cheese is done pressing, preheat the oven to 175°. Then shape the cheese on a parchment lined sheet pan (I’m not using unbleached parchment paper in the pic below, but I should be!) to about 5-6” circle. - Put the cheese in the oven and cut the oven off comptletely. 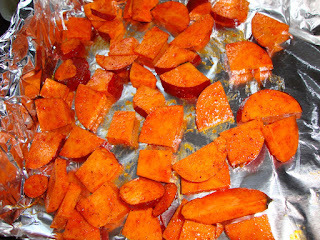 (This is what I do because I don't have a dehydrator, but if you have one feel free to use it too!) Let it firm up around the edges and top, about 35-45 minutes in the closed oven. 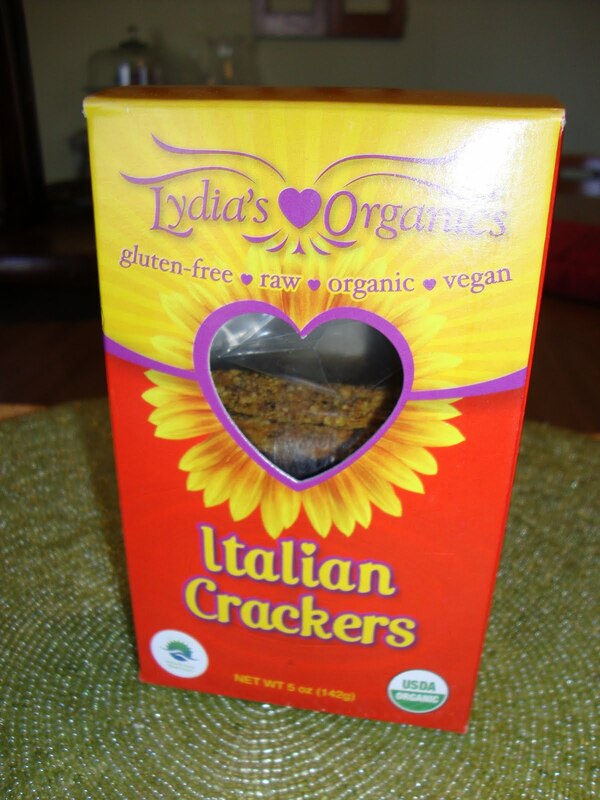 Then plate and enjoy with some of these yummy organic, raw, gluten-free Italian crackers! They are a bit on the pricey side, but a nice treat every now and then and go great with this cheese. Today's smoothie is a recipe I came up with in honor of our favorite restaurant here in Atlanta. R. Thomas is a great catch-all restaurant depending on your needs...they have raw and vegan dishes, breakfast served all day, and if it's meat you want- they make sure to buy from local farms that treat their animals humanely (free-range and grass-fed). David likes to call this smoothie Coconut Surprise, so that's what I'm calling it. 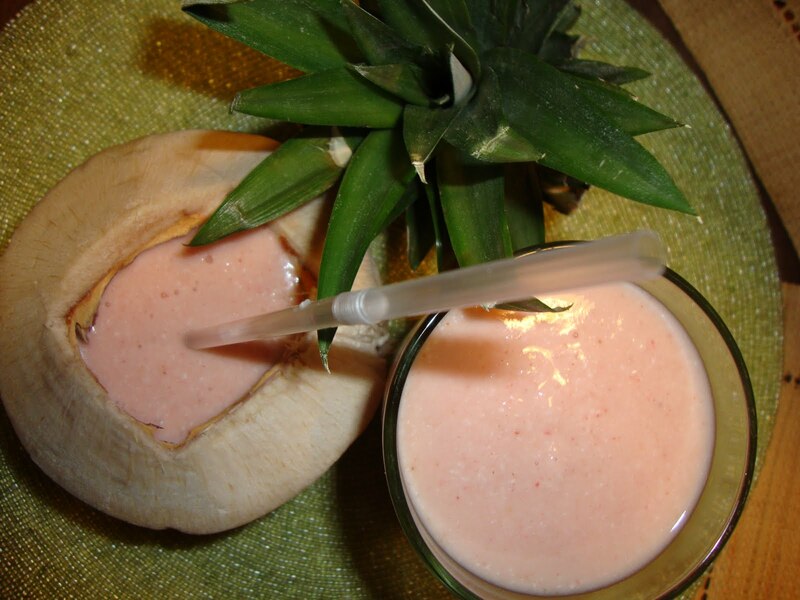 - Blend all ingredients in a blender or food processor, and enjoy! You can even put some back into the coconut for a fancy treat. 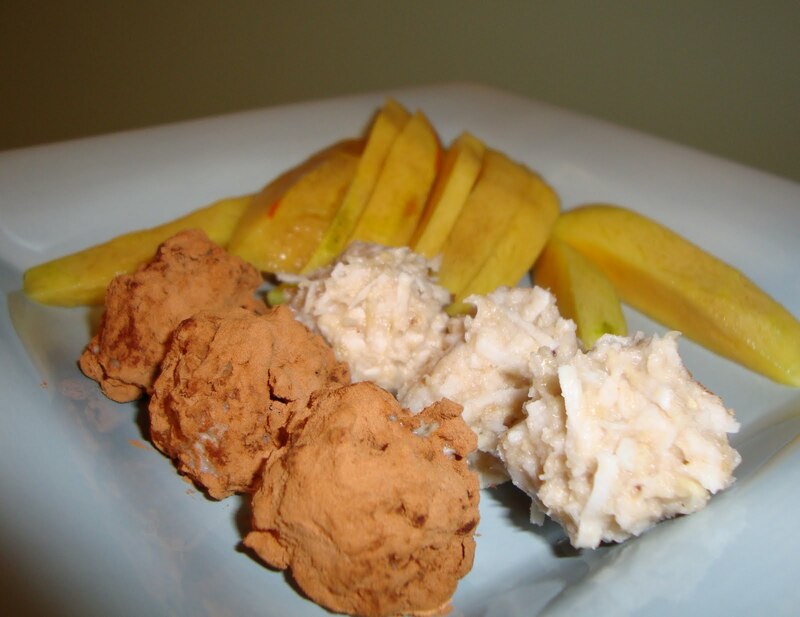 Check out the links below for some tasty wonderful ideas for a little bit healthier Valentines Day! Boeuf Bourguignon @ Freezer Gourmet – This is a bit more time consuming but a wonderful traditional French recipe (healthier and cheaper than a French restaurant)… what says “Valentines Day” like fancy French food? Chocolate Lava Cakes @ The Spunky Coconut - I cannot wait to try these when I can eat eggs and chocolate again! Raw Chocolate Pie (“A Little Slice of Heaven”) @ The Whole Life Nutrition Kitchen – I cannot wait to try this either…and raw makes it even better! Chocolate Raspberry Truffle Balls @ Daily Bites – These pretty little gems are quick and fun! After talking to my MIL and a dear friend who were asking about ingredients, I thought up this post. This is part of a series I will be doing on specialty ingredients, what to get when you want to eat more "raw", forgotten fruits and vegetables, different types of sweeteners, etc. Also, if you make it down to the bottom there is my new whole food Salad Dressing recipe. 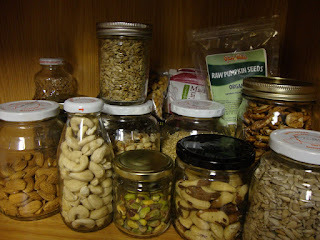 - Brazil nuts, a lesser known nut, but I just found them raw at Trader Joes! This nut has a meaty sort of taste to it. - Pine Nuts: pesto… need I say more? - Sunflower seeds and Pumpkin seeds: I usually throw these on top of a salad, however I have recently found a use for raw sunflower seeds in Thai influenced dishes… stay tuned! - Chia seeds and Hemp seeds: These are great for thickening smoothies and shakes and also as a baking additive to hold gluten free recipes together. Some Native Americans used to snack on Chia seeds while hunting for days because the seeds are very nutritious and expand when wet! 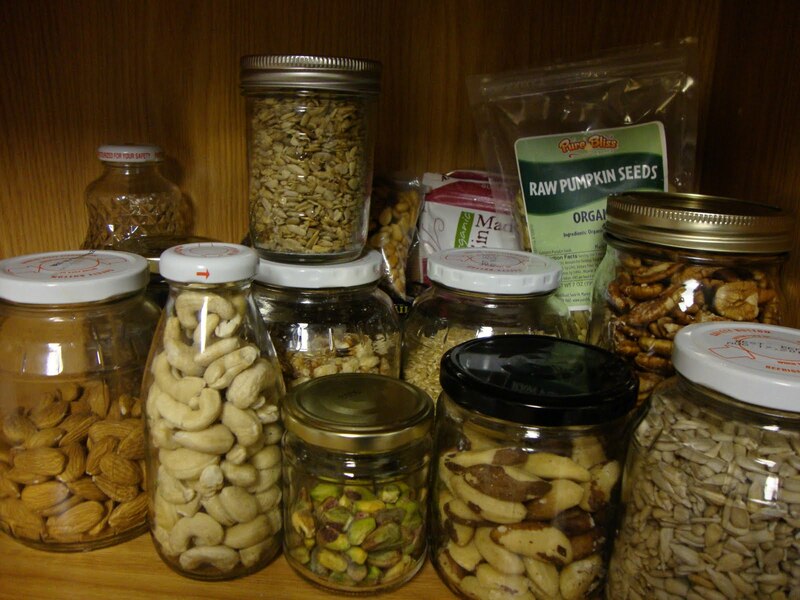 - And let’s not forget about snacking. Replacing certain go-to snacks that may not be so good for us is a great way to incorporate nuts and seeds into our diets! 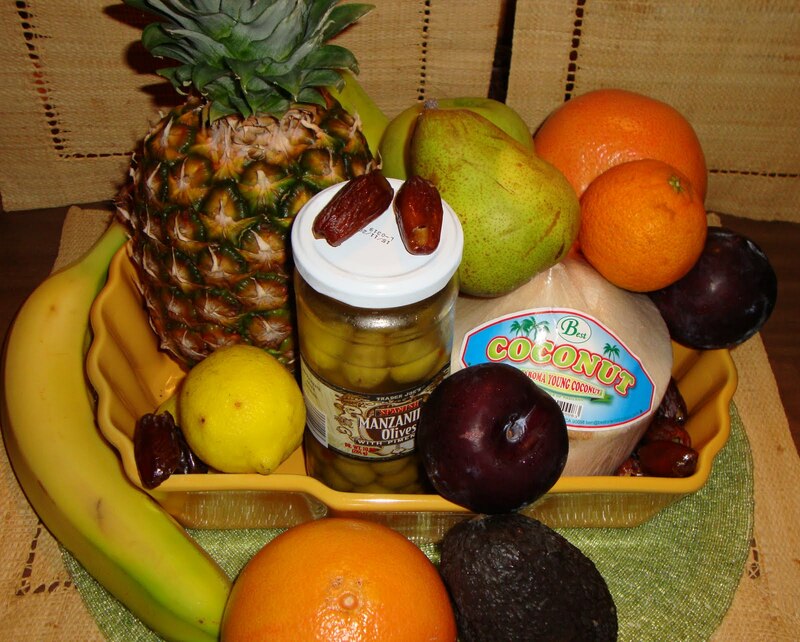 Our doctor has made the comment to us before, "Americans forget about so many fruits". I hope after I mention some of these "forgotten fruits" you will vary your fruits some and go out and grab something different! Again, if you don't have a store near you that has something you want to try; visit www.iherb.com or www.localharvest.org for more options. My husband, David, just found out he’s highly allergic to mustard. This is good to know since I (and his momma) have made Dijon Vinaigrette for him weekly up until finding out! Now, I am looking for a good replacement. This has become my new favorite dressing. Right now I am eating a strict diet and can’t have vinegar so I found the lemon to be just the ticket! I’m a big fan of it; David, however, is missing the mustard… but he did say “it’s a fair alternative”. * This is why I use the term "whole food". When you use a whole fruit or vegetable (and not just the juice) you are getting the fiber from that veggie/ fruit as well as the sugars. This helps your body absorb the sugars at a slower rate.